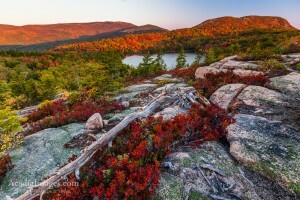 Acadia Images offers multi-day workshops with use of our photographer-outfitted guesthouse. Workshops include accommodation at our guesthouse. 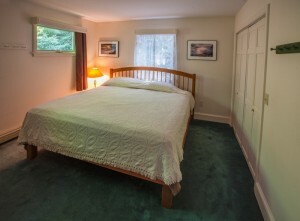 Simple accommodation outfitted for photographers, the house features four private bedrooms and one shared room, two shared bathrooms, kitchen, deck, and off-street parking. Our classroom space is equipped with individual monitors for use with your laptop. 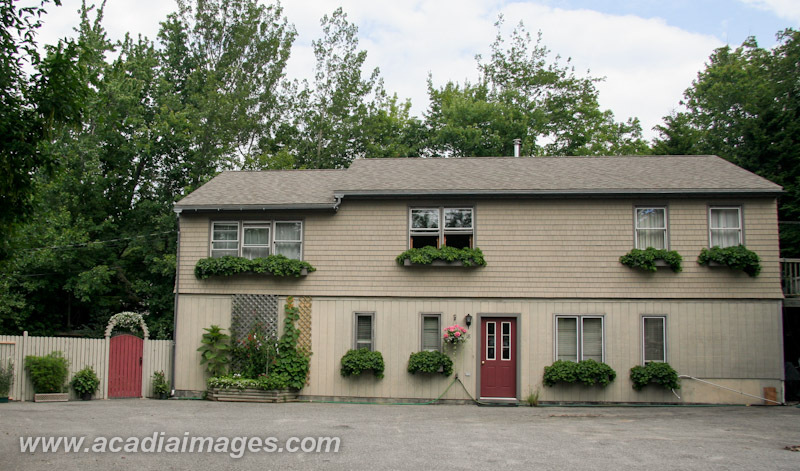 Located in Seal Harbor, we have access to both the top of Cadillac Mountain, Ocean Drive, and Jordan Pond within minutes. Staying all in one house allows us all to move efficiently as a group and enjoy the camaraderie and conversation of like-minded people. We strongly encourage people to stay at the guesthouse to improve our efficiency as a group for getting to locations on time but for participants who would prefer hotel accommodation visit the Bar Harbor Chamber Of Commerce, Mount Desert CoC, or the Southwest Harbor CoC for listings. 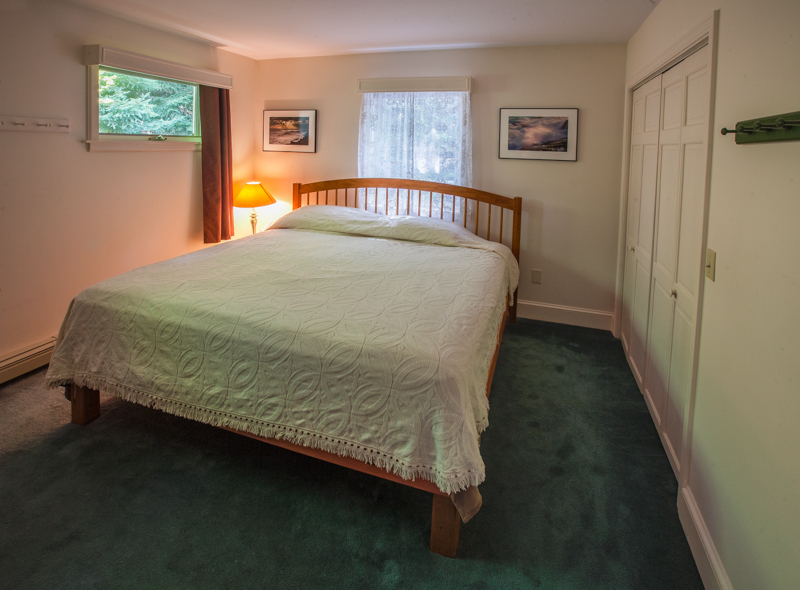 Great option for camera clubs: up to 6 participants if you want to use our shared room. 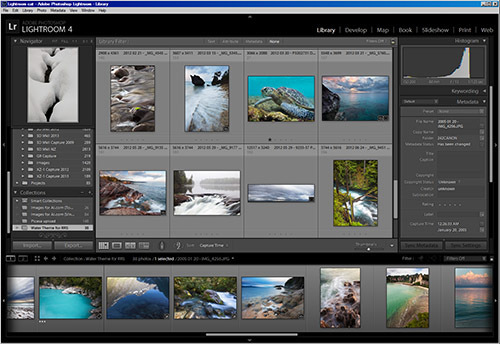 Lightroom Interface: efficiently organize, sort, and develop images. Our workshops will include lessons on Workflow from capture to publish. We will cover strategies for organizing and sorting as well as developing an image in Adobe Lightroom and Photoshop. Our workshops start with an evening shoot so that we can all get to know each other and our equipment in the light of day. After that our daily routine will be a morning shoot and then classroom lessons until lunch. After several hours of personal time we will resume in the afternoon by scouting a location for our sunset shoot. Depending on the time of year we may have some classroom time after dinner for discussion, or straight to bed for the next day’s sunrise. A normal day is about 6 hours of shooting and 4 hours of post-processing instruction. 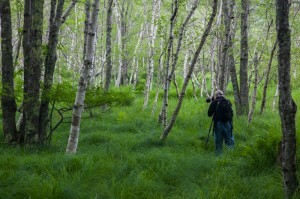 Nature photographers interested in the Maine coast environment. All levels of photographers can benefit from our local knowledge and field experience. If you are a new to owning a camera we may be able to tailor a course specifically for your needs, please contact us. People interested in the thought process behind a successful photo. Those interested in developing a collection of images that can be coalesced into a presentation format (exhibit, book, slide show, web gallery). Field-oriented learners. There will be review and discussion of your images in our classroom space. These workshops offer post-processing instruction for Adobe Lightroom and Photoshop. Moderately fit. Walks of approximately 1 mile are possible, though the uneven terrain along the cost is much more challenging. Camera settings for digital capture. The basics of photography: communication, focus, lighting, composition, and exposure. Analyzing a scene and finding a composition that captures its essence. How to match the type of light to the appropriate subject. The mental checklist for creating an attractive image. Lightroom workflow, basics and advanced digital developing. Ways to plan for post-processing while in the field. A collection of techniques that will elevate your photographic skills. Succinct mental checklist for making effective images. Attentiveness to detail that will allow your images to hold up to close examination. Memory cards. Maybe a portable hard drive to backup image files on. Tripod, if you have one. A tripod is highly recommended all of our workshops, especially for the Wildflower and Gardens workshop. Laptop with image editing software, Adobe Lightroom suggested. Wet weather gear for you and your camera (heavy-duty plastic bags and umbrellas are available for your use). And let’s hope that you don’t need either. Footwear for hiking and a pair of sandals for walking in water. Flashlights, particularly headlamps are useful for getting to and from locations in the dark. We have some available, and recommend the Petzl Tikka® Plus 2 or Black Diamond® Spot, or any other lights that feature a red-light mode. Unpredictable weather. Be prepared for fog and rain. Summers are mostly good weather, but it wouldn’t be Maine without the chance for some foggy or rainy days. Hikes that require proper footwear. Also, time around lakes and streams that may require getting wet feet. The rocky coast can be dangerous. Rough, uneven, and unstable rocks can pose a challenge, as well as slippery seaweed. Steep drops and cliffs are common. Conventional meal times are disruptive to photographers’ schedules. Breakfast and lunch is participant’s responsibility, as are dinners which should be taken early or late…not in the hour just before or just after sunset. If you choose not to stay with us at our facility be aware that local hotels fill up in the summer. Book early. Bar Harbor and Southwest Harbor are both on Mount Desert Island. 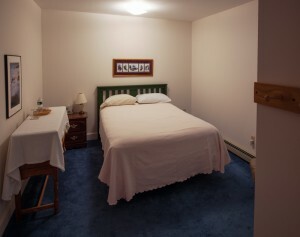 Ellsworth, which has more affordable accommodations, is at least a 30 minute drive. 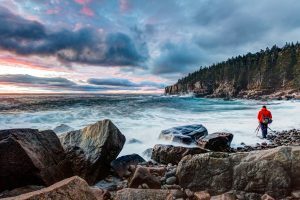 Discovering Acadia Workshop: This is a complete workshop which covers key techniques to improving your photography, post-processing, and publishing options. Lightroom Weekend: We focus on the workflow from import to export in Adobe Lightroom, covering basic to advanced development techniques. Tilt-Shift Clinic: Ever played around with a tilt-shift lens? They are an optical oddity, but extremely powerful tool. Refund Policy: 100% refund for cancellations 60 days or more prior to workshop. Please inform us as early as possible of you can not attend as planned. Cancellation 60 days or less prior to the start of the workshop the registration fee is non-refundable but may be credited toward a future workshop. There is no refund for ‘less-than-ideal’ weather: all weather can make great images. Meals: Participants are responsible for meals. Kitchen is open for use, catered meals can be arranged, but are still the responsibility of the participants. Transport: Participants must provide their own transport. Carpooling is encouraged. Classroom space for 6 students. 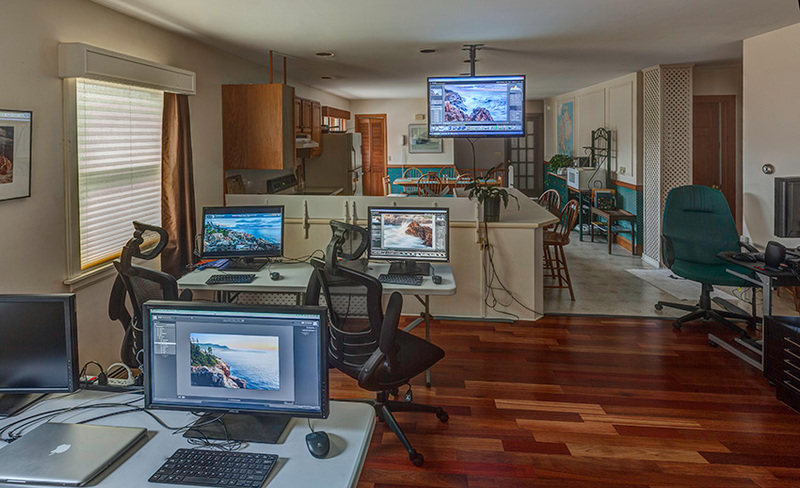 Individual 24″ IPS screens, mouse and keyboard. Registration is open for the 2015 season.